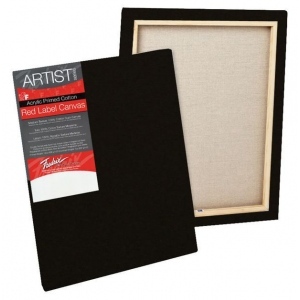 Features superior quality medium textured duck canvas. 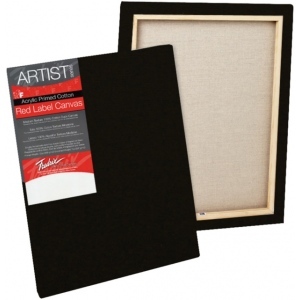 * Canvas is double-primed with acid-free acrylic gesso for use with oil or acrylic painting. * It is stapled onto the back of standard stretcher bars (11/16" x 1 9/16"). * Paint on all four edges and hang it with or without a frame. * All sizes larger than 24" x 36" include single or double bracing for adding support and all sizes larger than 30" x 30" include corner bracing. * Unprimed weight: 7oz. ; primed weight: 12oz. Stretcher Strips: 11/16" x 1 9/16"